Citizens can visit the City of Fayetteville's Open Data Portal to access police data, use-of-force statistics, and scheduled community watch meetings. The City of Fayetteville, North Carolina, wanted to ensure transparency and community engagement. So it built the Open Data Portal using ArcGIS Open Data. Citizens can now visit the portal to access police data such as traffic stops, incident reports, and crime maps. They can also look at employee demographics for the police department and use-of-force statistics, as well as find out about scheduled community watch meetings. “We want to improve understanding of policing, improve transparency, enhance community trust and confidence in police, dispel myths, and highlight realities through data,” said Fayetteville’s chief of police, Harold E. Medlock. 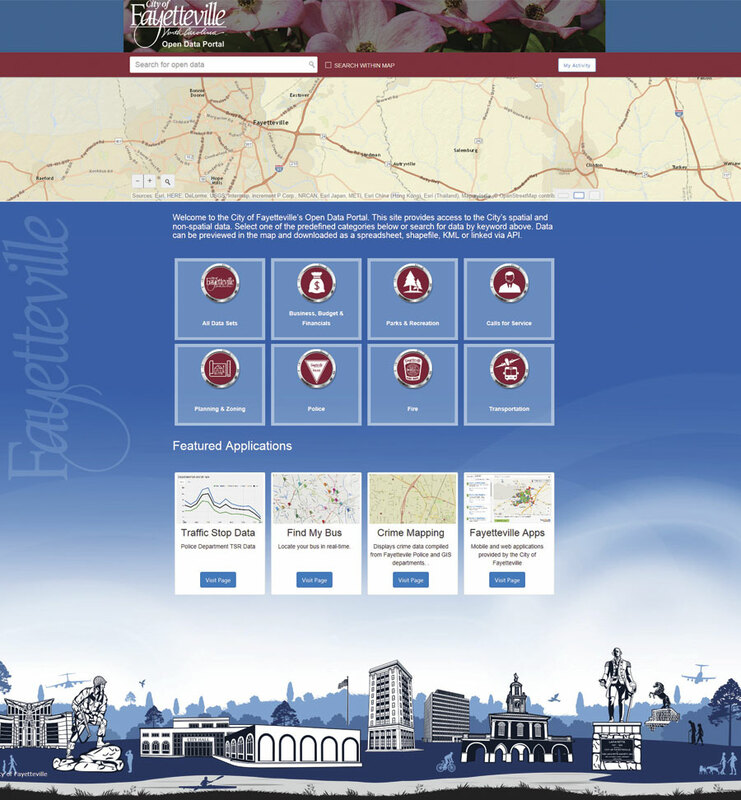 Fayetteville’s Open Data Portal promotes citizen engagement with other departments as well by hosting information from the fire department, planning and zoning, transportation, finance, parks, and more. The portal owes its success to the collaborative work of the city’s IT, GIS, and police departments. Cooperation among the departments made it possible to quickly roll out the site with consistent branding, graphics, services, data preparation, and back end setup. Three members of the Fayetteville Police Department were invited to the White House in April 2016 to discuss the city’s Open Data Portal as part of the Police Data Initiative, an effort launched by president Barack Obama’s Task Force on 21st Century Policing to identify the best means for effective collaboration between law enforcement and local communities. It focuses on the use of data to increase transparency, build community trust, strengthen accountability, reduce crime, and improve relationships between citizens and police. ArcGIS Open Data is the solution that helps Fayetteville and many others respond to such measures. 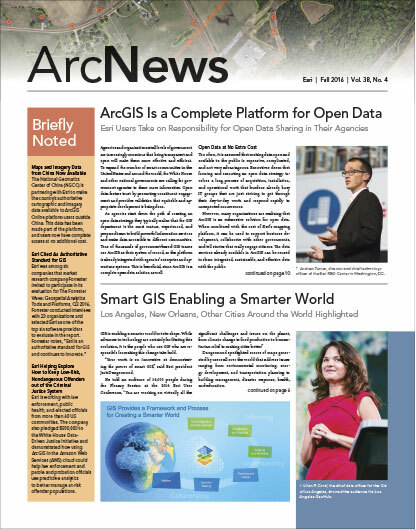 Turn on ArcGIS Open Data in your organization.